You would think that it would be easier to find bargain fixed blades than it is to find bargain folding knives due to the simplicity of a fixed blade knife. However, that isn’t always the case for one reason – sheaths. Most bargain knives come with terrible sheaths and by the time you replace the lousy included the sheath, the knife isn’t a bargain anymore. It takes a little digging but there are bargains out there beyond the standby Mora. 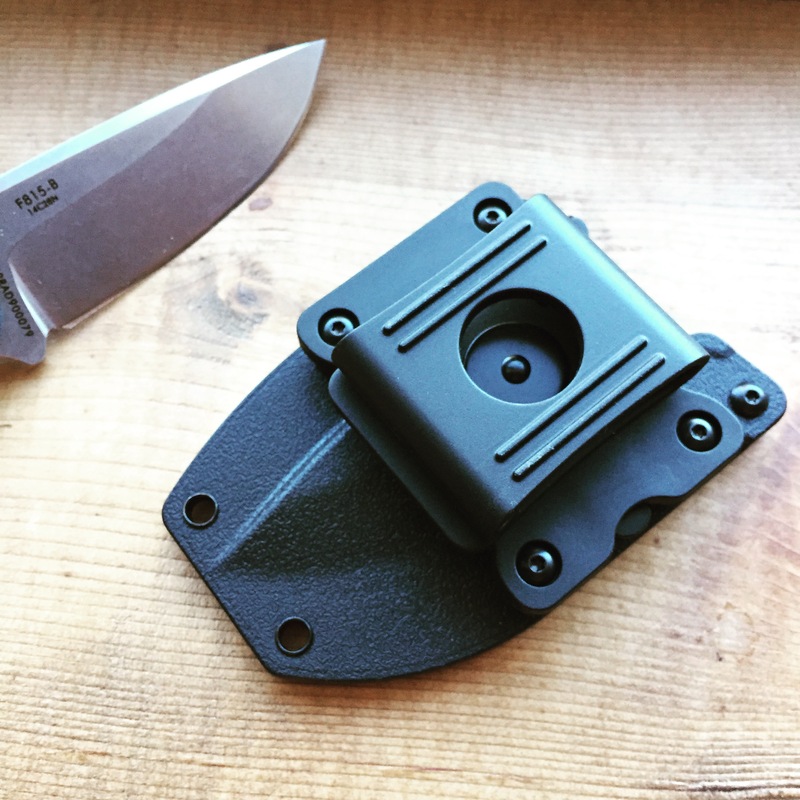 RUIKE Knives is kind of like the knife division of Fenix Lights though their affiliation with the flashlight maker isn’t always spelled out clearly on their website. They make a number of interesting and value minded knives but there is one in particular, the RUIKE Hornet F815, that drew me in several months ago. I was initially drawn to the Hornet because I was looking for a full sized fixed blade knife that was both stout and lightweight. I like flat grinds and drop point blade shapes for general use. The Hornet seemed to hit all those points. It has been on several adventures since then, spending a lot of time tucked into a Hill People Gear Runner’s Kit Bag, and has served me well. The Hornet is relatively lightweight while still offering the durability and comfort of a full tang knife with slab handles. The knife’s most distinctive feature is its skeletonized handle with textured G-10 slabs. This feature is VERY well executed. They slabs are fit to the tang very well and RUIKE even took steps to chamfer the edge of the G-10 inside the lightening cutout. The result is a knife that is lightweight for this type of construction, more comfortable to use than a knife without handle slabs, and that offers great grip even with gloves. 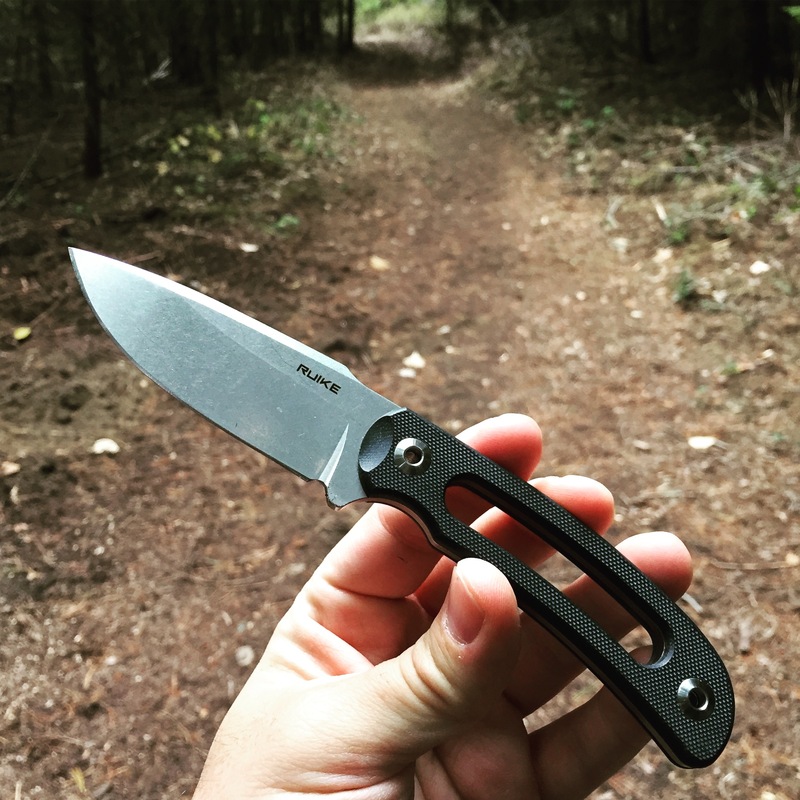 RUIKE uses Sandvik 14C28N at .14″ thick on the Hornet. Sandvik 14C28N is a great steel that takes a fine edge without much fuss. This knife cuts and slices well at .14″ thick and with the relatively tall, flat saber ground blade. It cuts well but is also stout enough to stand up to hard use like batoning. The sheath is made from injection molded plastic. Like many plastic sheaths, it is bit bulkier than a real kydex sheath would be. However, it is functional. It has adjustable retention (not often seen on injection molded sheaths) and secures the knife well. The included clip works well for belt carry and is adjustable for a number of angles. I removed the clip on mine since I generally carry it in a pack or Kit Bag. The RUIKE Hornet F815 bumps right up against our $50 limit for this series but it packs a lot of features not commonly found on bargain fixed blades. It is well designed. It offers a great balance of durability and lightweight. It comes with a functional sheath. It’s a good looking knife with very good fit and finish. The steel is not a bargain basement steel. I call it a BARGAIN and like this knife a lot. Note: This design is also be available from Sanrenmu, who may actually be the OEM maker of the Hornet, with lower grade 8Cr14Mov steel for considerably less money. I purchased the Hornet because of the better steel and the backing of RUIKE for any potential warranty issues. A suggestion for B or JC trial? A CRKT M16*-01S. I picked on up at the evil and hegemonic WalMart for $20 and been carrying for a year, really like it. Just a thought. The CRKT M16 series is a budget friendly classic. I think you are right. I’ll probably have to profile at least one of the M16 models. Thank you Gary! I have a CRKT or two that will be featured. It seems like I could profile most of their product line!